Luxurious Townhouse! 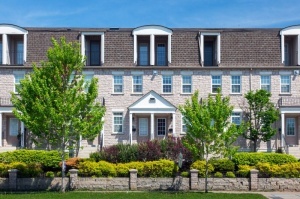 Beautifully upgraded, bright & fresh 3 level townhouse with over 1300 sf of spectacular living space. Only 12 Townhomes built in 2003 by Berkley Development. Intimate complex populated with incredible young families & friendly professionals located in the heart of a vibrant community just a short walk to the Kipling subway station. Inclusions: Stainless steel: Fridge, stove, built-in dishwasher, built-in microwave, Bosch front loading washer/dryer, window coverings, electric light fixtures & blinds, broadloom where laid, alarm system (option to be rented), natural gas bbq hookup, 2 garage remotes, central vacuum & equipment. 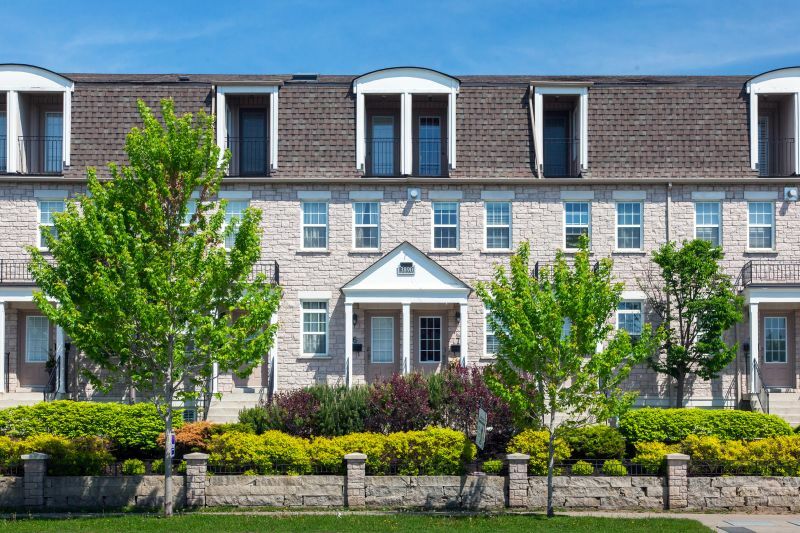 Beautifully upgraded, bright & fresh 3 level townhouse with over 1300 square feet of spectacular living space. Modern construction consisting of only 12 Town's built in 2003 by Berkley Development with a beautiful stone & brick exterior facade. Intimate complex populated with incredible young families & friendly professionals you'll find yourself in the heart of a vibrant community just a short walk to the Kipling subway station. Excellent floor plan with ample space on all levels! Features 2nd floor family room, 3rd floor master suite, 2 full baths, built-in private parking spot, plus huge deck/terrace off kitchen! Open layout of the main floor gives a great flow for entertaining. Convenient front hall closet. Inviting living-dining room with rich oak hardwood flooring throughout. Family kitchen with breakfast bar area for casual dining. Space for kids play at back or bistro set. Upgraded Quartz counters & stainless steel appliances and double French doors walk-out to the very private deck. Ready for summer party season? Huge terrace/deck with gas BBQ hookup is a great extension of outdoor living space for cocktails & al fresco dining with friends. Convenient mud room in the lower level with direct access to the garage is a lifesaver in the cold winter months. Upstairs on the 2nd cosy family room with gas fireplace & mantle! The second bedroom facing the back has pretty picture windows, hardwood floors & a closet. Adjacent to the bedroom is an updated 3 piece bath complete with quartz counters & glass enclosed shower. Much preferred laundry on this level was upgraded with new Bosch front loading machines in 2013 & nicely tucked behind closed closet doors. Sun-drenched 3rd floor boasts a spectacular master abode! Broadloom throughout, double closet and a l avish 4 piece ensuite with a Jacuzzi style floor was upgraded with hardwood floors and features the soaker tub, enclosed glass shower & quartz counters. The icing on the cake is having a private balcony to enjoy a mid summer nights dream! Enter the private parking area off of Ashbourne Drive with remote access to the spacious built-in 1 car garage with plenty of extra storage space for all your extra "stuff". Visitor parking spaces available for guests. Well managed reserve fund and low maintenance fees almost like a freehold home, allow for easy budgeting. Amazing combination of location, price & sophisticated space offers outstanding value for professional couples, young family, or 1st time buyers. Located west of Kipling, north of Dundas St West and east of the 427 in an established family oriented extremely quiet pocket of the city with the conveniences of TTC, shopping, coffee shops, restaurants and nearby access to all major highways. The Bloor Street shopping district west of Kipling Avenue is a small neighbourhood retail corridor that includes local shopping plazas, food markets, restaurants and independent owner operated stores. Dundas Street West offers many home improvement stores, restaurants, specialty stores & car dealerships. Great school district! Wedgewood Junior School, Bloorlea Middle School and the popular Etobicoke Collegiate as well as many alternative, private and Catholic schools nearby. Get out & play! Plenty of parks surround the area to enjoy walking the family pet or playtime with your kids. Greenfield Park & Wedgewood Park containing tennis courts, a baseball diamond and a children's playground. West Mall Park also has an artificial ice rink and an outdoor swimming pool. The Eatonville Public Library located at 430 Burnhamthorpe Road offers a baby time program, "Tales for Twos", and a preschool story time. For the adults there is a Tea and Books program where library staff lead an informal chat about books and authors. Go green -- Walk to Kipling subway station located off Auckland Road just south of Bloor Street. This station serves both TTC & Go Transit commuters. Motorists are within minutes of Highway 427 on-ramps at Dundas, Bloor, Burnhamthorpe & Rathburn Roads. Bloor Street provides motorists with an alternative route into downtown Toronto. The Pearson International Airport is within a ten minute drive of this neighbourhood.